Autodafe is a collection of reports, interviews, correspondence, narratives, and stories from around the world. The review aims to be a place for debate and experimentation, a place where writers silenced by censorship join voices with world-renowned writers. The contributors are all members of the International Parliament of Writers; the pieces are original to Autodafe. The journal's common themes are the reflection of social and political realities of the world, censorship, the interdict of language, and the effects of globalization, among others. 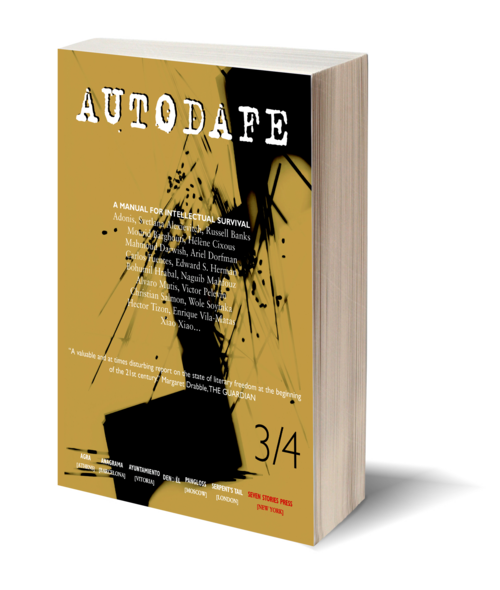 Autodafe, Volume 3/4 includes original contributions by a stellar group of leading literary voices of conscience from around the world: Jovica Acin (Serbia), Adonis (Syria), Florence Aubenas (France), Svetlana Alexievitch (Ukraine), Russell Banks (United States), Mourid Barghouti (Palestine), François Barré (France), Stanko Cerovic (Montenegro), Hélène Cixous (France), Vincenzo Consolo (Italy), Syl Cheney Coker (Sierra Leone), Mahmoud Darwish (Palestine), Ariel Dorfman (Chile), Carlos Fuentes (Mexico), Nedim Grsel (Turkey), Gamal Ghitany (Egypt), Edward Herman (United States), Chenjerai Hove (Zimbabwe), Sonallah Ibrahim (Egypt), Abdellatif Laâbi (Morocco), Naguib Mahfouz (Egypt), Alia Mamdouh (Iraq), Alvaro Mutis (Mexico), Victor Pelevin (Russia), Christian Salmon (France), Wole Soyinka (Nigeria), Hector Tizón (Argentina), Mehmed Uzun (Turkey), Enrique Vila-Matas (Spain), Antoine Volodine (France), Xiao Xiao (China), and Spôjmaï Zarib (Afghanistan). In conjunction with the International Parliament of Writers tenth anniversary, this third volume of Autodafe examines contemporary threats to creative expression; current forms of censorship and propaganda; and new means of intellectual, literary, and linguistic resistance. Autodafe 3/4 is subtitled "L.T.I. (2003): A Manual for Intellectual Survival" in tribute to the work of Viktor Klemperer. From 1933 to 1945, the Jewish professor kept a secret linguistic diary, Lingua Tertium Imperii, The Language of the Third Reich, detailing the characteristic literary forms and idiomatic expressions of the Nazis. Amnesty International is a worldwide campaigning movement that works to promote all the human rights enshrined in the Universal Declaration of Human Rights and other international standards. 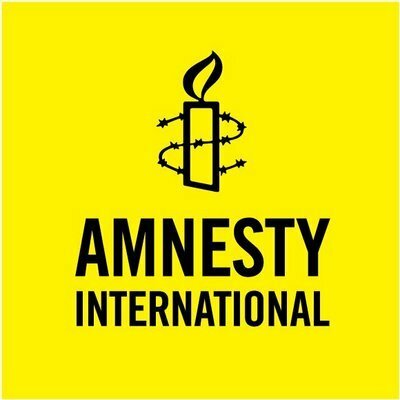 In particular, Amnesty International campaigns to free all prisoners of conscience; ensure fair and prompt trials for political prisoners; abolish the death penalty, torture, and other cruel treatment of prisoners; end political killings and “disappearances”; and oppose human rights abuses by opposition groups.